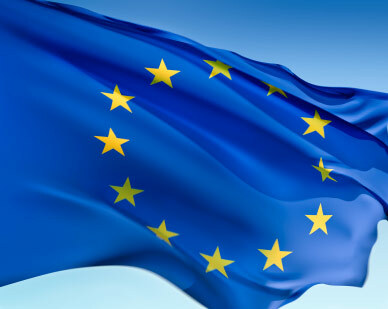 The European Union has published excellent, very practical guidelines to support government agencies purchase software. While it is specifically targeted at purchasing Open Source Software, by its own admission, most of the discussion is valid for purchasing Proprietary Software too. The key message that it describes in business terms, is the importance of using Open Standards in order to adhere to EU purchasing criteria of fair competition, transparency, and long term value for money. Studies have shown that in practice, much software procurement discriminates between individual vendors, typically in favour of specific proprietary software companies. E.g. OpenForum Europe, 2008. "OFE Monitoring Report: Discrimination in Public Procurement Procedures for Computer Software in the EU Member States", December. Ghosh, R. A. 2005. "An Economic Basis for Open Standards". FLOSSPOLS project, European Commission. While precise figures for the European public sector are not available, it is worth noting that the share of proprietary packaged software in European software spending is only 19%. Much more is spent on custom built software (52%) and internal software development (29%). Note that compatibility with previously purchased IT solutions may seem like a very valid technical requirement, but can also be a way of perpetuating the consequences of previous purchasing decisions, perpetuating vendor lock-in and preventing an unbiased procurement based on real organisational needs. Requirements for compatibility with open standards and no proprietary elements, i.e. full compatibility across multiple vendors and producers, increases the freedom of future procurement choices. Freed from the obligation of the short term financial cycles of the private sector, public organisations are also obliged to maximise costs effectiveness over the very long term. However, with limited, short-term budget cycles, they need to find a good balance between limiting the initial investments and limiting the overall, long term cost. The exit cost is also an important consideration: the cost incurred in migrating to another IT system, which should properly be accounted for as a cost not of the new system being migrated to, but the old system being migrated from. After all, if the old system were based on open standards, migration would not be as expensive, thus the cost of migration is imposed by the current, old system. Software is used to create documents, databases and customised applications that, in the public sector, have a life-time that may be well beyond the originally announced life-time of the procurement procedure for the software. If the software originally purchased makes it difficult to use the documents, databanks and customised applications with similar software from other producers, then there is a high cost in terms of changing from the original software to another software - the exit cost. Buying new software because it is compatible with previously purchased software may seem to save on migration and training costs. But when this software is proprietary, and is not fully based on protocols and standards that are fully and freely supported by other independent vendors, exit costs and associated costs may greatly increase over the long term. The agency's dependence on the proprietary vendor is increased. Thus the apparent short term benefit of compatibility is much reduced when considered over the longer term. Total Costs of Ownership (TCO) is a term often cited in relation to software purchases. However, there are several different methodologies, and few include all the long-term costs involved in software purchases, such as the costs of required regular upgrades, or the exit cost of Guideline on Public Procurement of Open Source Software P. 31 migrating to another software. It is therefore difficult to use TCO studies, or even compare them. Furthermore, such studies rarely evaluate anything other than quantifiable costs; the benefits of flexibility, independence and transparency while essential to a public organisation, may be qualitative and hard to quantify. Thus, it is advisable to analyse costs and benefits for the needs of the public organisation concerned, over the long term, rather than relying on TCO studies. The main justification for financial sustainability criteria for software is to ensure that the supplier will be able to provide support as long as the software is being used. With open source, the availability of the source code assures interoperability, and there is no dependence on the original supplier. If the original supplier goes out of business, the software can still be maintained by others; if others are not maintaining the software, the public agency can hire a third party maintainer. This increased sustainability of open source is justification for lowering the financial sustainability requirements, or lowering their weight in the selection process for tenders for open source software. Public agencies can also provide indirect support for the development community, by asking tenderers for open source software or services to demonstrate their level of contribution to the appropriate developer community - as part of the selection process, and/or as part of the execution of the contract. In any case, this may be a useful way of determining level of knowledge of the open source software and its community available with the tenderer. As reported by Computer World, three out of five technologies predicted to see huge growth in US government over the next four years are “Open Source”, “GeoSpatial” and “Service Oriented Architecture”, as facilitated by the spatial standards from the OGC. The other hot technologies include “Cloud Computing” and “Virtualisation”. However, to date, there have been limited opportunities to obtain structured GeoSpatial Open Source training. This situation is being rectified by LISAsoft who are introducing a range of training courses to address growing demand from industry. Courses cover targeted technical training, as well as a course for Managers and Business Analysts addressing the unique management opportunities and pitfalls introduced when acquiring and using Open Source Software. Cracking ahead at lightening pace are the many advancements in browser based functionality, which now enables tailored “Google Map” type applications to be developed with editing and analysis type functionality that was previously available only in desktop applications. LISAsoft’s course “Web Mapping with OpenLayers” teaches participants how to lever the powerful OpenLayers and GeoExt libraries to build intuitive map based websites. Providing data to websites is the job of Web Service engines like GeoServer. GeoServer serves maps via OGC standards like WMS, WFS, WCS and more. It is popular due to its intuitive, yet powerful management interface, its conformance to standards, and its robustness. In the “Professional GeoServer” course, participants are taught how to integrate GeoServer with databases, setting up GeoWebCache to provide fast tiled maps, the art of making maps pretty, tuning GeoServer to handle large data volumes, and also how to deploy GeoServer into high reliability production environments. Spatial data is most effectively stored and manipulated through the functionality of a spatial database, like PostGIS. PostGIS spatially enables the Open Source PostgreSQL database, in the same manner as Oracle Spatial spatially enables Oracle. PostGIS is mature and robust, fast, widely deployed, and is often selected for large systems as it is not license bound when scaling. LISAsoft’s “Spatially enabled with PostGIS” course teaches PostGIS’s geographic data structures and functions, loading data and tuning the database. Maintaining good metadata records makes data much easier to find, and consequently saves organisations money by ensuring datasets are not purchased multiple times and avoids expensive recollection of existing data. However, GIS managers are challenged by trying to get data generators to fill in and maintain metadata effectively. Australia and New Zealand have been at the forefront of research into metadata, including a range of automated collection and management techniques. LISAsoft’s “Metadata with GeoNetwork” explains how to deploy GeoNetwork, how an administrator can tailor GeoNetwork’s metadata entry templates for specific user communities, how to make use of automated data entry techniques, and how to harvest data from external sources. Targeted desktop applications which require mapping can be customised from uDig, a Java based desktop client, which is built upon the widely used Eclipse framework. LISAsoft provide a training course for Java programmers, teaching geospatial concepts, a walkthrough of the Eclipse programming framework, hands on exercises, and a complete tour of functionality from disk to display and printing. How to build best practice, future proof Spatial Data Infrastructures is covered by LISAsoft’s “Standards based Spatial Data Infrastructure design” course. This course is specifically targeted at architects and spatial data managers responsible for designing, building and deploying spatial systems. It includes practical overviews of the key Open GeoSpatial Consortium (OGC) standards, how to design systems using the standards, when to use the standards, and where standards are still lacking or should be avoided. Attendees will have hands on experience building applications using standards compliant Open Source applications. This article was published in the October 2010 edition of Position Magazine.